Oklahoma may not be one of the first places you think of when you imagine a running race, but that doesn’t mean it doesn’t offer its share of marathons and other running events. From runs that have become true Oklahoma tradition to special events that benefit important causes, there are a lot of reasons to pull on your running shoes in the Sooner State. Here are some of the best annual races to check out. The OKC Marathon has been a late spring tradition since 2001. It now hosts more than 24,000 runners from around the world. The marathon benefits the Oklahoma City National Memorial & Museum. You have multiple options for running, from a full marathon to a 5K. It even offers a kid’s special run. The earlier you register, the lower the registration fee. It’s not just about running, it’s about coming together in support of each other. Generally held in May, this naturalist race is only 5K, but it tests your endurance as you go through the rugged terrain wearing only your shoes and maybe a hat. Every October, the local crisis center hosts a short run, just 5K to benefit victims of domestic violence. It’s not a long race, but it’s in honor of a great woman who gave her life for other women to be free. This marathon is held annually in November on the weekend before Thanksgiving. Run the full marathon and you have the opportunity to run an extra 0.3 miles to get to the Center of the Universe. It’s said that when you stand inside the brick circle and talk or shout, you hear an echo that no one else can. A newer marathon that benefits the only eco-tourist Mustang ranch in Oklahoma. Generally held in June, this marathon weaves through the ranch. The ranch makes every attempt to move the horses to different pastures, but not all horses cooperate. They insist on hanging out on the course. Generally held in late March, this marathon is part of a five-day event which is held in five different states. The Oklahoma course includes a scenic run around Sunset Lake. 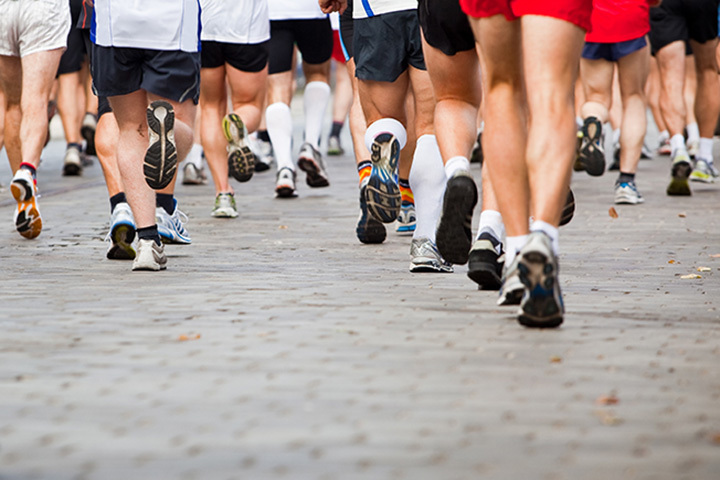 This March marathon benefits the Mercy Cancer Center. It begins up in the mountains at Turner Falls. Runners run down the mountain until they reach the Ardmore Regional Park. It’s a beautiful location for a marathon and supports a great health foundation serving the local community. This is one of many ultra-marathons offered in Oklahoma. Run 10 miles, 25K, 50K, 100K, 100 miles, 135.6 miles in the J.T. Nickel Preserve. The terrain is rugged, and includes canyons, a prairie, a forest and a woodland. It’s held in late October. An annual festival in June with multiple events, including the Olympic distance triathlon. It’s a USAT sanctioned event with the majority of the bike course on Route 66. Held in August just east of Edmond, this 1000 Yard Swim/20 Mile Bike/4 Mile Run & Aquabike features a challenging terrain while biking and a great lake in which to make the swim. The run is on a hilly course, which makes it even more difficult as you get to the finish line. View more Oklahoma Road Races.